Hi loves! Today I have one of the most gorgeous collections ever to share with you! As you all know Cirque Colors is one of my favorite brands, and their Metropolis collection is an ever expanding creme-lovers dream. Things are changing a bit this year as instead of doing monthly releases, we now get a semiannual addition and the Spring/Summer 2016 release holds 9 beautiful shades! You know you need to see more of that, right? Before I get to the individual shades, I'll tell you something about the formula, because it was pretty consistent across all 9 shades. These are creamy, streak-free, smooth, self leveling wonders. Even the lightest shades are opaque in 2 coats (because I have some ridges I added an occasional third layer on some nails) except for Fire Island, and I didn't have any application issues. Cirque Colors Chelsea Girl is a medium purple. This is a warm purple, with noticeable red tones, but my camera freaks out on that and creates a cool-toned purple instead ;-) so this is color corrected to match as close as possible. Cirque Colors Don't Forget The Cannoli is an understated ivory. Oh my god, I CAN'T EVEN! This is the perfect off/white shade, really nice to wear by itself but also a gorgeous base for nail art. Cirque Colors Fire Island is a fiery red-orange. 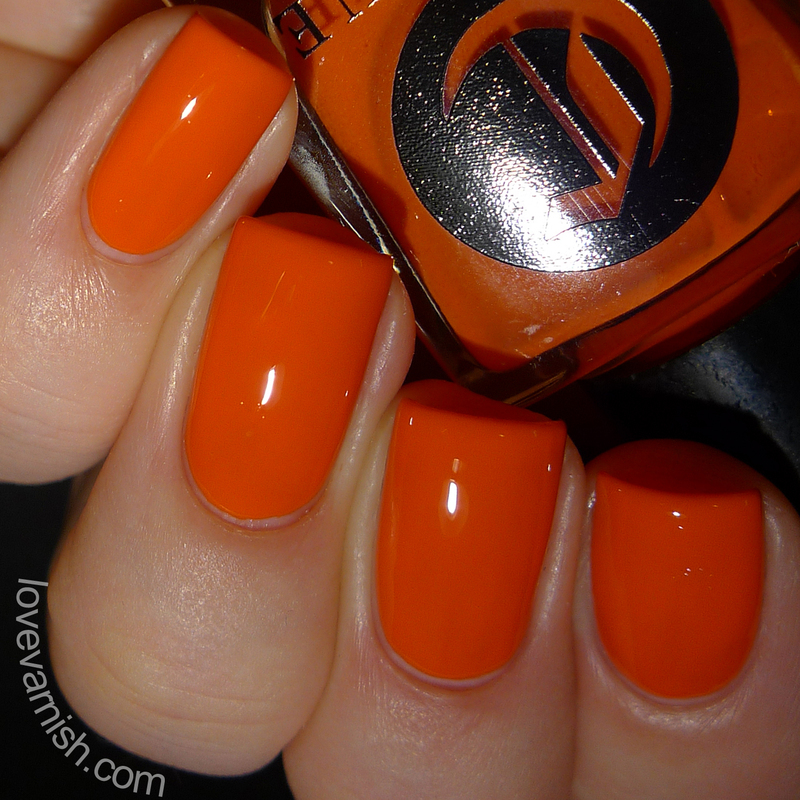 Shades like these always pull more orange on me and it's so intense and fiery! This was the only one I used 3 coats for to get the opacity I wanted. Cirque Colors Key To Gramercy is a light sage green. Hmmm, reminds me of vintage kitchenware, in a good way ^^. Cirque Colors Lox and Sable is a salmon pink. I am so sorry but this swatch is not color accurate :-( both my skin and lighting set-up pull out the orange tones, it's much pinkier in reality. Cirque Colors Meet Me in Montauk is a pale light blue. This might be the palest light blue ever and it's so dreamy! Cirque Colors Mermaid Parade is a bright teal. Oh yes, I always love shades like these! It's light enough to be summery and bright, but dark enough to work with all the seasons. Cirque Colors Rhapsody in Blue is a cobalt blue. 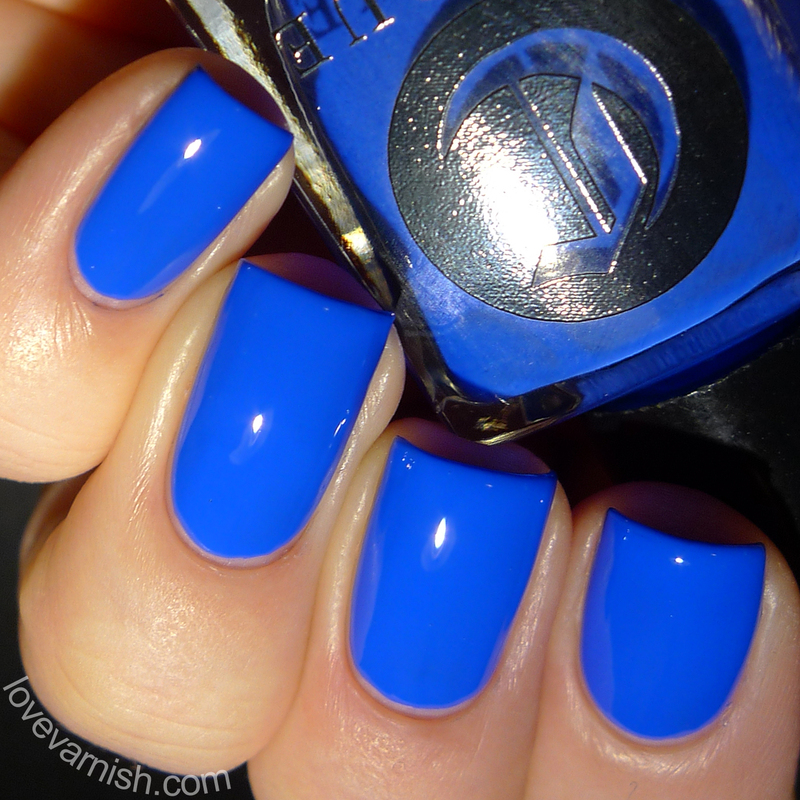 Previously known as Santorini, this shade is becoming available again and it's a perfect shade of blue. Bright, bold and reminding me of Greece. Cirque Colors Whitney is a dusty pink-lilac. Reminding me of OPI Don't Bossa Nova Me Around, this shade immediately became one of my favorites. Soft dusty pinks are perfect to go with everything you wear and make a great base for stamping nail art. I couldn't have been happier with this release, especially looking at all the soft and white based shades. The formula is dreamy and easy to work with and the coverage is great on each shade. My favorites are Don't Forget The Cannoli and Meet Me in Montauk but to be honest, I'm not letting go of any of these! What do you think of this release? And which shade is your favorite? Tell me in the comments!